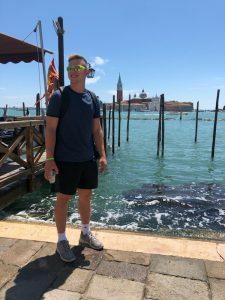 SAI recently caught up with Ambassador Bryce, who took some time to answer questions about his time in Florence. Studying abroad taught me so many things about myself. First, I learned that I had the ability to independently travel to a foreign country, learn the culture, and immerse myself in a whole new environment. From the moment I boarded the plane out of Pittsburgh, I was alone with not one familiar face, but very excited about what my summer studying in Florence would bring. I had no idea that I would bond with my roommates and other students from all over the world as much as I did. 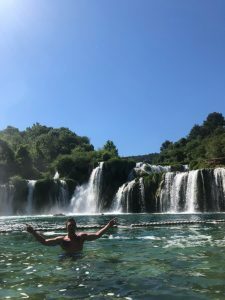 I formed friendships that would last a lifetime with people from all over Europe and the U.S. Study abroad students are adventurous and personable. Quickly, you meet people who have a similar love of love of travel, and together you all are trying to successfully learn a new culture and adapt to a different lifestyle. Everything from the food, language, money, transportation, travel, and more was different. I wanted to experience everything and travel as much as I could. 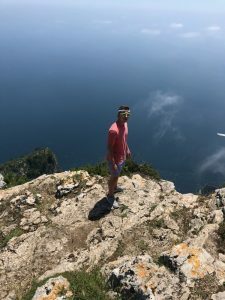 From trying new foods, traveling from country to country, staying at hostels, and mixing with the locals, I learned not to be afraid to try new things. 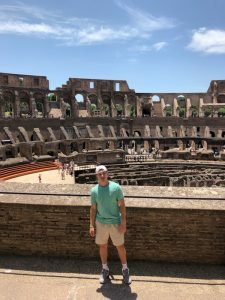 The experience also taught me how to be extremely organized, juggle classwork and travel, and manage time wisely so I could travel as much as I could while I was in Italy. Overall, the travel abroad experience matured me. As a rising sophomore, I was the youngest student in the FUA summer program and having so much independence and freedom was new to me. However, I am so glad I didn’t wait to experience studying abroad until my final year of college like many other students do. Now, I can hopefully plan another study abroad experience before I graduate. Honestly, when I returned home it was difficult to readjust to American rules and culture. Life seemed a little boring. Thankfully, though social media and texting, I communicate almost daily with the great friends I met and we are planning upcoming trips to visit each other again. The study abroad experience exceeded my expectations. I had the best experience of my life that gave me wonderful memories and photos that I will have forever. I am so glad I chose to study at the Florence University of the Arts in Florence, Italy. Upon arrival, I immediately realized how beautiful the city was. The buildings were old, ornate and constructed close together. Everything was so different than the United States. The city of Florence was the perfect size. It was easy to navigate and had plenty of stores and restaurants. It was also less touristy than Rome or Venice, which allowed me to feel more like a local. At first I was intimidated. I did not know how to shop for food, order in restaurants, travel by train, speak the language or plan international weekend travel. However, quickly with the help of the SAI staff, I found my way. I also enjoyed the bustling nightlife in Florence where American students mixed with local students and shared music and formed friendships. With so much to do in Florence, a student could easily spend their whole trip visiting various museums, churches, plazas, art shows and more.. I was surprised that the favorite mode of transportation is walking. Rarely did anyone take a taxi or drive. Every day I walked at least 10 miles which became very normal by the end of my trip. When I returned home, I felt that Americans are not as energetic or fit as Europeans. I was unaware that when I chose Florence that its central location made travel to other cities easy. Businesses close every day for lunch and the entire pours into the streets to enjoy food and conversation. Italian life in the city of Florence is meant for appreciation. It did not have the business and stress like a busy day in an American city. American businesses would never close during prime business hours and lose valuable time to perform business transactions. Dinner at night started after 8 and was a lengthy event. The time of my visit also allowed me the opportunity to witness the annual Calcio Storico Florentino matches. The sport was a combination of soccer, rugby, and wrestling and was the most aggressive, exciting and bizarre event I ever witnessed. Overall, the residents of Florence were nice and welcoming to the visiting students, and great appreciated when Americans learned their customs and adapted to their ways. They are very proud of their heritage and traditions. My study abroad experience taught me that the world is such a big and beautiful place. It also showed me that I have a lot more exploring to do. Each weekend I travelled to new cities which included Venice, Rome, Pompeii, Naples, Capri, San Vincenzo, Montecatini, and Split, Croatia. Every destination provided scenic views, excellent conversation, great food, and adventurous excursions. Some of the activities I experienced were snorkeling, cave exploring, white water rafting, and nature hikes. I also learned how to cook and enjoy Italian food. The outdoor markets were a great place to interact with the locals and purchase ethnic goods. I enjoyed meeting new people in each city and navigating from place to place. My study abroad experience increased my passion for travel and adventure. I look forward to continuing my international travel to see more of the world in which we live. Travelling to Italy opened my eyes to new cultures outside the United States. It taught me how to interact with people from other cultures, respect their traditions, and learn about their history. It made me appreciate old world customs and become a little less fond of American conveniences. I have to admit I miss everything about my study abroad experience and I can’t wait to plan my next adventure. 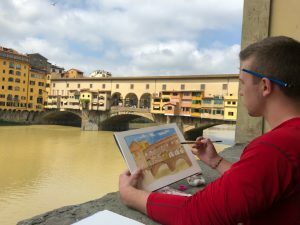 Bryce was a summer 2018 SAI Florence student from Indiana University of Pennsylvania.